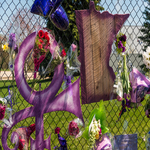 This past April, millions of people around the United States and across the globe were shocked to learn that Prince Rogers Nelson, more widely known as Prince, died at the relatively young age of 57. While it was unclear as to the cause of the pop singer's death, many were convinced that the superstar passed away from drug related issues. It probably comes as little surprise that Prince suffered from pain after decades of high energy performances, and it was widely known that he endured a hip injury that required pain medication. Prince had been known to lead a clean life, refraining from mind altering substances over the years, which made it hard for many to believe that his death could be the result of a drug overdose. Now, two months later, the coroner's report has come out, and the cause of his death was an overdose of the powerful opioid analgesic fentanyl, CNN reports. It is likely that you have heard news reports about the drug in recent years, as fentanyl is commonly mixed with heroin to increase potency—resulting in a wave of overdoses across the united states. Just to put the drug into perspective, fentanyl is around 80 to 100 times stronger than morphine and roughly 40 to 50 times more potent than pharmaceutical grade (100% pure) heroin. The drug is known to cause severe respiratory depression even in small doses—rife for the potential of overdose. Heroin users, more often than not, have no idea that the “dope” they are about to snort or inject is laced with fentanyl; being unaware of the presence of the powerful analgesic, users will dose themselves out as they normally would—ignorance that can prove deadly. Authorities are still trying to determine where Prince acquired the fentanyl that led to his death, according to the article. To be sure, it could have come from only one of two places. Either a physician wrote him a prescription for fentanyl to treat his pain, or he acquired the drug through illegal channels. Fentanyl is being produced in clandestine labs, typically overseas in countries such as China where it is easy for chemists to acquire the requisite precursors. The drug is then shipped out of China, finding its way to Mexico where it is then moved north of the border. Without a doubt it is important authorities find Prince’s source; however, where the drug came from will not bring the beloved artist back—as is the case with the thousands of Americans who lose their life in this country from prescription opioid and heroin overdoses. What’s more, Prince’s death, much like Michael Jackson's and a number of other stars' deaths in recent years, drives home the point that everyone is eligible for addiction—and all who use opioids are at risk of overdose. Every day in the United States alone, over 70 people succumb to opioid overdose deaths.